Back in November, the MS Society granted Oxford Brookes £75,000 to carry out a research project to assess whether pure hot chocolate can help to reduce the symptoms of Multiple Sclerosis. Professor Helen Dawes and I will be leading a research team who will be looking specifically at whether a compound found in dark chocolate can help to reduce fatigue in people with MS – one of the most common symptoms of the condition. There is currently no cure for fatigue and one of the MS Society’s top 10 priorities is to understand which treatments are effective for fatigue in those with MS. There is currently a similar pilot trial going on at Oxford Brookes, which includes two of our undergraduate final year students. Dark cocoa containing 70-85 per cent cocoa solid is well known for its high antioxidant and flavonoid content. 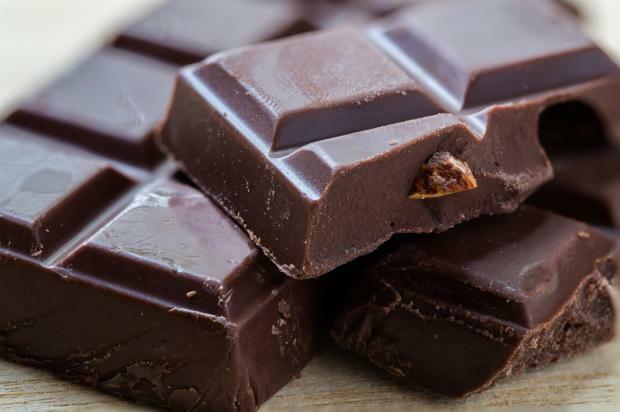 Acute dark cocoa consumption has been shown to actively improve fatigue in those with chronic fatigue syndrome (CFS) or ME and this was thought to be due to the flavonoid compounds. However, no studies to date have assessed the role of flavonoids or flavonoid-rich dark cocoa for improving fatigue in those with MS. Previous studies have been mostly observational, cross-sectional studies with inclusive results for determining the best nutritional interventions for symptom management in MS. Patients, carers and clinicians agree that fatigue is a severely debilitating symptom and while there is no medication to treat fatigue, simple approaches such as diet can be used to reduce its severity. Dietary changes may be simple, cost effective and safe therapy for improving symptoms experienced in people with MS, and thus for increasing quality of life. Dark chocolate is generally seen as a food that’s bad but it has good things in it – including flavonoids. We have consulted external experts for feedback about this project, including those at MS support groups and medics and the response overall has been very positive. Forty people with the relapsing form of MS will be given hot chocolate daily over six weeks – half will get a flavonoid-rich cocoa drink and the others will get a cocoa drink with low levels of flavonoids. Specifically, we will be looking at the impact of cocoa flavonoids on inflammation and the role that plays in fatigue. Those taking part in the study will fill in questionnaires about their fatigue levels, take part in walking tests and provide blood samples so we can check for signs of inflammation and free radical damage. The participants will also wear accelerometers – watches that monitor their activity levels. Two-thirds of MS diagnoses occur in young adults between the ages of 20 and 40 who are at the peak of their career and family development. We are therefore recruiting those who are newly diagnosed with the disease, and predict the majority of patients to be under the age of 35. We will be recruiting patients from the John Radcliffe Hospital and also through advertisement at Thames Valley MS community venues, clinics and support groups.